CHEORWON, Gangwon Province -- Small towns across South Korea are on the verge of collapse. For decades, young people from rural villages have been moved to Seoul in search of employment, never to come back. Their elderly parents are left to themselves in the hometowns, wondering what will become of their farms. 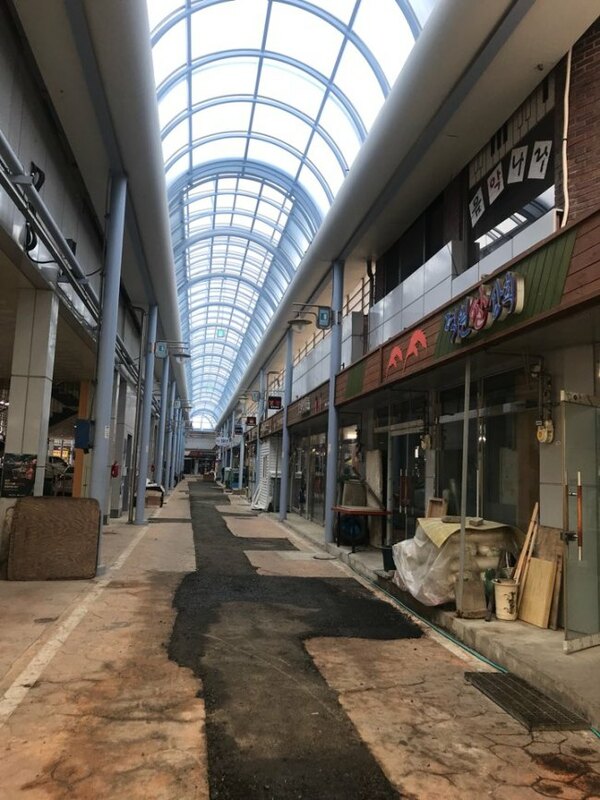 The economic fallout of the demographic shift has been devastating, according to local residents interviewed by The Korea Herald in Gangwon Province. One of the fastest aging provinces, the potato-growing region is forecast to have a median age of 60.9 by 2045 -- up from 43.8 in 2015 -- according to data released by Statistics Korea last year. The province’s working-age population, those aged 15 to 64, will plummet to less than half of its 1.57 million people by the same year, the data showed. 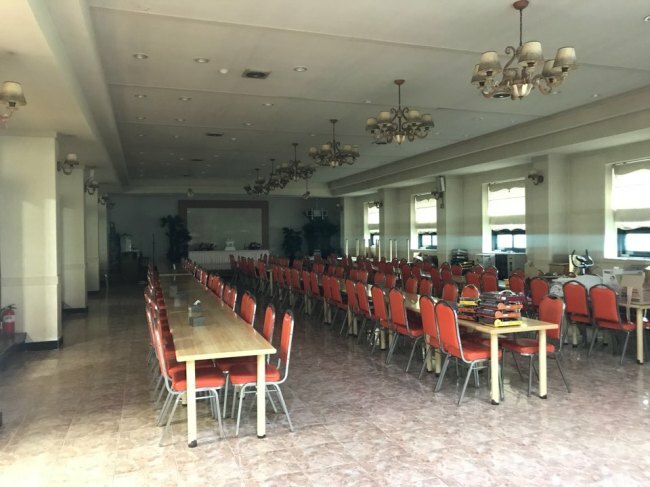 “So far, three couples have booked their wedding for this year, and I don’t expect more,” said Kim Ho-sung, 64, who runs the biggest wedding hall in Gimhwa-eup, a small village in Cheorwon County, Gangwon Province. Finding a migrant wife was once an obvious solution for young, unmarried farmers. But with more foreign spouses becoming isolated and vulnerable to domestic abuse, the Ministry of Justice has introduced stricter requirements for the marriage visa, according to Kim. “There’s a real shortage of young people in this community as they went to big cities looking for jobs and marriage. Fewer weddings mean I will be out of business. You never see newborn babies here, so money’s not good for children’s first birthday parties either. Things will not get better as the population ages faster,” said Kim, who added that he earns money on the side with farming. Kim, like other elderly who live there, worries the town he loves will be left to fade away. The worry is not an irrational one: The Ministry of Security and Public Administration’s figures show that the country became an “aged society” last August, when the number of people aged over 65 made up more than 14 percent of the total population. In 17 years, the country has gone from an “aging society,” where seniors made up 7 percent of the population, to an aged one. Coupled with an aging population, the country’s falling fertility rate, especially in rural areas, is yet another reason behind the regions shrinking. The statistics agency’s figures show that over 64 percent of rural areas saw fewer than 300 newborn babies per county last year, putting them at risk of extinction. Like other provinces, Gangwon Province has tried to boost the birthrate by providing child care bonuses and infertility treatments. These efforts, however, appear to have failed to attract young people. “The problem is jobs are increasingly concentrated in urban cities, and the jobs that remain in the countryside mainly revolve around farming. Young workers migrate to cities, more jobs here are phased out and the population declines. It becomes a vicious cycle,” said Chang Yong, chief of the Korean Government Employee’s Union branch in Cheorwon, Gangwon Province. “Right now, many farmers here will retire soon, only with a smaller number of people to replace them. The government needs to focus on establishing a wide range of industries, like tourism, to boost employment in other sectors and attract young workers. Things have already begun to go disastrously wrong,” Chang said. Farmers who have long faced labor shortages call on the government to support hiring agricultural workers from abroad, a scheme they claim will fix a further drag on local economic development. 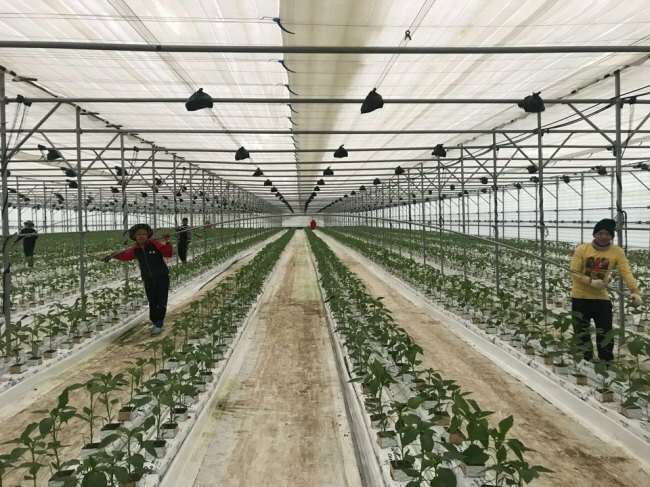 “Elderly farmers are forced to make difficult choices, whether to keep doing farming themselves, or to import workers, which is still not cost-effective for those with small family farms,” said Jung Sang-wook, 55, a pepper farmer in the village. Jung, who owns a relatively large farm, explained he has hired six agricultural workers from Nepal, Thailand and Cambodia. He said he is lucky to make a profit from farming. “Unlike my situation, it is virtually impossible for small farm owners to hire workers, either domestic or foreign. The minimum wage has gone up, and will continue to go up next year. It is expected to cost around 1.9 million won ($1,760) per worker, every month. Prices for agricultural chemicals have also gone up. On the other hand, the government sets prices for agricultural products too low,” Jung said. Kim Jae-hwan, 72, and Lee Bok-hee, 65, are husband and wife and former vegetable farmers who are both retired now. They said it’s not the economy or income they most worry about. It’s the tradition and way of life they are concerned might disappear as time passes. “Farming actually teaches you a lot, from how to raise and harvest crops to the value of hard work and nature,” Kim said.